When are you going to add a crafting recipe for The Beneath Teleporter? Just curious. 🙂 I love the mod, by the way. Could you please add some images of the dimension to the page? The dungeons that you can configure to spawn... are they custom dungeons by the mod? Or are they vanilla-ish dungeon? Or dungeons based on what's been included in the pack like Doomlike Dungeons? I'm just curious how it's setup because i'm making a modpack and this looks like an excellent fit so far! btw Abyssalcraft is one of my favorite mods. You're amazing at what you do. Dude the last comment is in the future ! jokes beside... this mod is very nice how far i know i couldn't make it till now to build a beneath Teleporter in SkyFactory 3 but damn this thing takes very long to build there. And as far as i read the comments i'm afraid to go in my singleplayer world alone in there. So far so good! P.S. pls just dont make it even creepier lol! 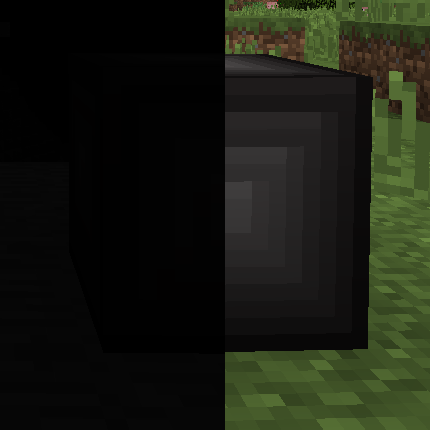 So, I'm currently using this mod with the sevtech ages pack, but I'm noticing whenever I go into the Beneath, everything is pitch black, and torches do not help either. Any info to help out? Is there a way to kill the shadows? My friend keeps dying because of their grapple and he wants revenge. I crashed on startup after installing the mod, can you help? is there a way to set a default spawn point? Running this on a Sky Factory 3 server and folks are being teleported into solid rock. We would like to set a generic spawn point that all portals would link to. Is this possible? Thanks for your work on this mod. it is a blast watching the players run for their lives. Currently all mob spawning is disabled when that config option is toggled, but I could set something up for shadows spawning only. Oh boy, yeah, that's not something intended to happen. I'll see about having it not replace the platform blocks. hey umm idk how to explain this but i was using this as normal when i morphed into a bat before teleporting into the beneath dimension and nothing loaded so i went into the over world and half my world is missing only chunks visable before i went into the dimension are still there.i found that logging out of the world will bring the chunks back but the problem will keep happening. Can you share what Minecraft version, Forge version and Beneath version you're using? Also, is it possible to reproduce without whatever morphing mod you're using or if you're not morphed into something smaller than the player? What is the numerical Dimm - id for the beneath? I'm trying to add extreme reactors yellorium, they have a config option to whitelist dimensions, but they wont accept letters as a dimm id. Or is there an easier way to add yellorium to the beneath? Like the creepyness btw. Since the Dimension ID is configurable, you can see it in the config file. The default value is 10.
gotcha, thanks! I must have missed that. How Can I Make A Custom Recipe For The Beneath Block? There's a configurable recipe you can customize for it, or use something like CraftTweaker if that's more up your alley.